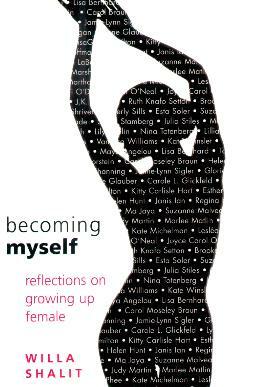 An anthology about how a bunch of diverse women recall things about being female and growing up, and importantly, actually making the connection. So many don't. Ms. Shalit has put together a mixture of people in the public eye who eloquently share their personal stories. People such as Maya Angelou; Kate Winslett; Lisa Gay Hamilton; Brooke Shields; Marlee Matlin; JK Rowling; Vanessa Williams; Meryl Streep, and Janis Ian to name a few. Personal snippets of moments and memories from a different time. These stories are personal and are observations not all of us women make, or get, which I think will help many of us who struggle with things from our past. Growing up a little girl is not always easy - there are many challenges we have to face - some with positive outcomes, some psychologically and physically damaging. The whole equality aspect enters into the fray too. Best of all, you're bound to find someone's (or bits of others') stories to which you can relate - we're never alone. Great for picking up to read when you don't want to sit for hours with a book. However, I read it all. I liked that the proceeds from this book will go to charity - my own sentiments for my own upcoming series of books. Conclusion - Very nice stories.